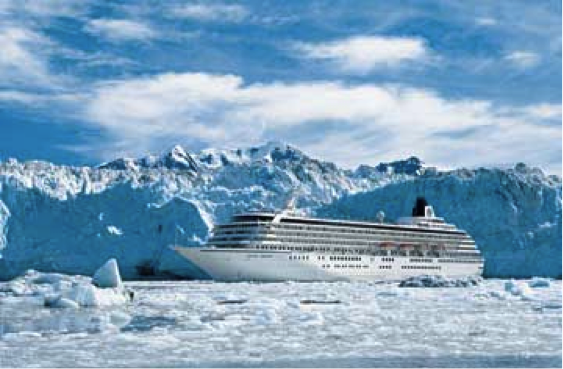 Crystal Symphony took its maiden voyage in 1995. Carrying 940 guests and 545 staff members, Crystal Symphony is less than half the size of mass-market mega-ships. However, at 50,000 tonnes it is large by luxury-ship standards with considerable space dedicated to innovative spa and learning facilities, exciting entertainment options, creative dining options, spacious decks, generous amenities and sumptuous staterooms. These are features valued by luxury-loving cruisers, especially those who find yacht-like ships too cozy or limited in activity options. With the launch of the 68,000-tonne Crystal Serenity in July 2003, the company raised the bar even higher – 635 crew members for 1,080 guests and 63 tonnes of space per guest, one of the highest space ratios of any luxury ship. All of the management and 80% of the crew are seasoned veterans from Crystal Symphony, offering the company’s many repeat guests the opportunity to sail on a new ship with familiar faces. 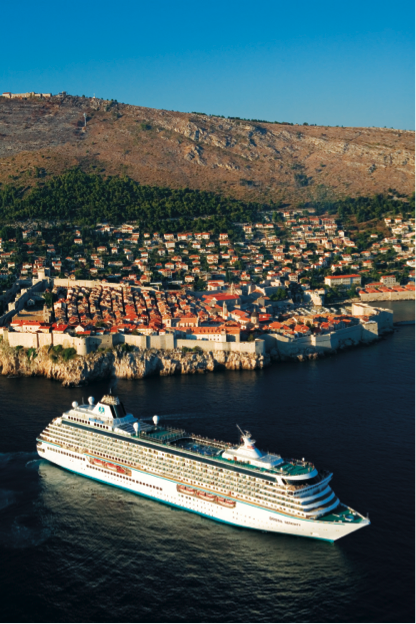 One might say that each ship’s spirit and sense of class reflects their legendary godmothers: Angela Lansbury launched Crystal Symphony and Dame Julie Andrews christened Crystal Serenity. For discriminating travellers, choosing among the wide selection of rooms is the first step in creating the ultimate travel experience. More than half of the rooms on Crystal Symphony and 85% on Crystal Serenity open onto roomy balconies. Here, guests can enjoy morning coffee, be served a full breakfast or dinner, read a book from the extensive library or simply enjoy the view. 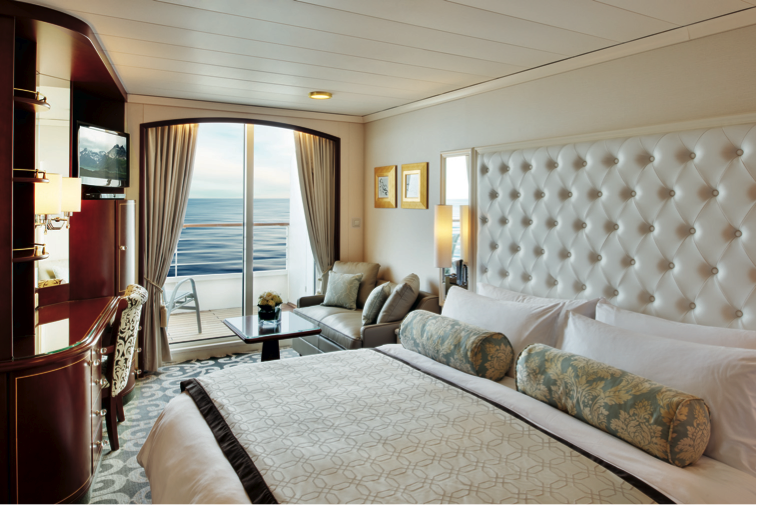 Even the minimum category staterooms feature separate sitting areas with love seats and coffee tables, desks or vanities. All guestrooms have queen-size or twin beds dressed with Egyptian cotton sheets, down pillows, plush duvets and feather beds. A large closet with both padded and wooden hangers, ample drawer space, shower and bathtub with Aveda products, telephones in bathrooms, two hair dryers, fresh fruit and flowers, complimentary bottled water and soft drinks, Frette bathrobes, plush slippers, umbrellas and English mohair lap blankets are just a few of the luxuries that are standard with every stateroom. Other amenities include Internet access, televisions with DVD players, laundry and dry-cleaning service (or guests can use complimentary guest laundry facilities), twice-daily housekeeping and complimentary 24-hour in-stateroom dining. Creativity, quality, ambiance, choice and charming yet discreet service are the principles behind Crystal’s extraordinary culinary success. Choice is a key element of the Crystal dining experience which is rich in menus and venues. Elaborate, four- or five-course menus are presented daily in several settings. The grand Crystal Dining Room features international cuisine and regionally-inspired dishes based on the itinerary, and never repeats a menu, even on a 100-plus day World Cruise. This classic dining experience is offered twice nightly. With the most extensive wine cellars at sea (some 20,000 bottles), Crystal offers guests a comprehensive choice of wines, plus a new reserve list of 20 rare vintages. 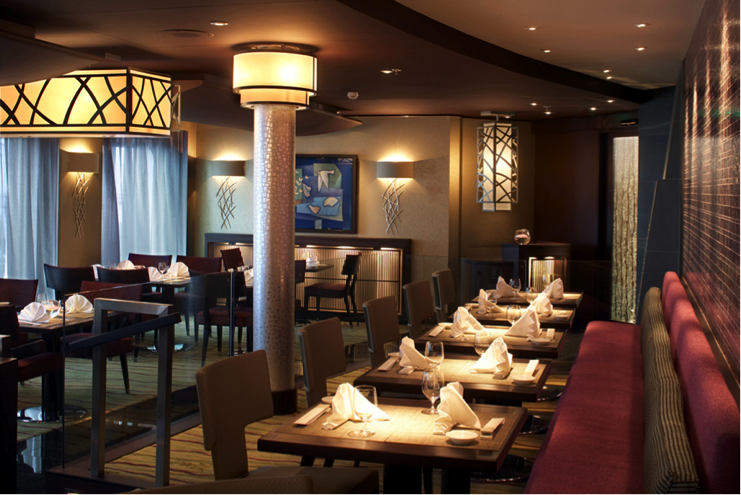 Both vessels offer additional specialty dinner restaurants: Jade Garden and Prego on Crystal Symphony and Prego, Silk Road and The Sushi Bar on Crystal Serenity. For lunch, quick snacks, and lighter fare on both ships, The Lido Café and Gardens, Tastes and the Trident Bar & Grill offer casual dining. The Bistro serves morning coffee and pastries, and premium wines with cheeses in the afternoon. Other options include the Ice Cream Bar and the Palm Court Lounge for Afternoon Tea. A poolside Late-Risers Breakfast, low-carb menu, and Sunday Brunch are new additions to the many choices available to guests. 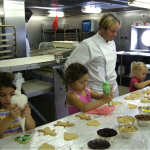 Crystal Cruises’ commitment to quality, choice, and personalised service promises children a Six-Star experience with dedicated facilities (unusual on luxury ships) and imaginative activities created specifically to suit the ages and number of children on select itineraries. 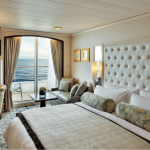 Both ships offer spacious staterooms in a range of categories as well as suites and connecting staterooms, child-friendly cuisine, highly-acclaimed children’s programmes and activities for children aged 3-17. 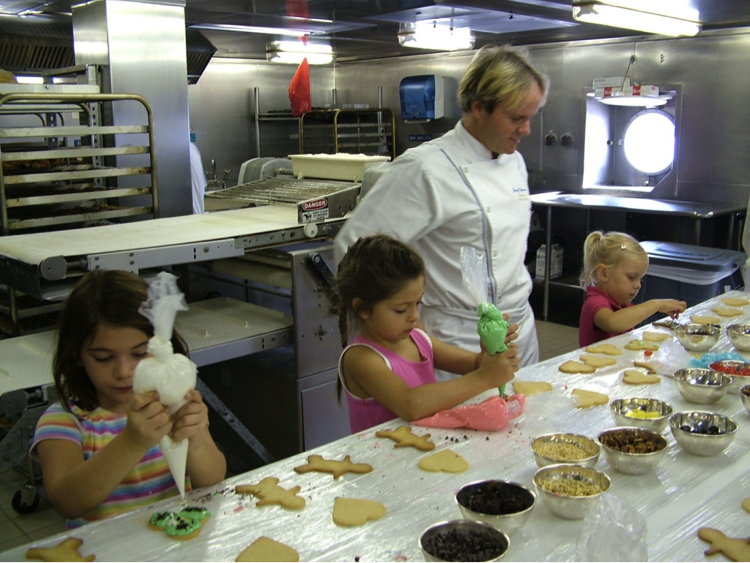 During holiday cruises and selected summer sailings, additional children’s activities are offered under the supervision of experienced Junior Activities Directors. The Fantasia playroom offers arts and crafts, Sony PlayStation®, a large-screen television and board games. The Library loans out children’s books and videos for viewing in staterooms. Teenagers have their own video arcade, Waves. A children’s menu offers dishes for picky eaters and those with allergies.